One regional down, one to go. 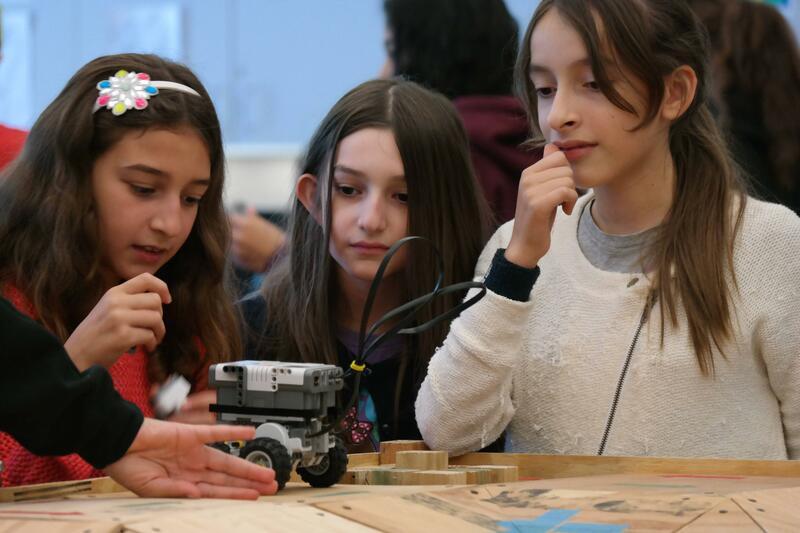 From March 10th -12th, we had the opportunity to participate in the LA Regional in Long Beach. Throughout the competition, we played 8 qualifying matches. In our first match, we started off in reverse for autonomous. This was a simple miscommunication error that lost us the match with a score of 37 – 47. Fortunately, our programmers were on the case immediately, and this problem didn’t repeat itself for any other matches. By our third match, we had dramatically increased our score to 79, resulting in winning the match. We won again in our fifth match with Team 330 and Team 987 on our alliance. Our qualification score in this match, 135, was one of the highest. We ended qualifications in the top 15 OPR list, and although we did not advance to eliminations, we are proud of our achievements at the LA regional. 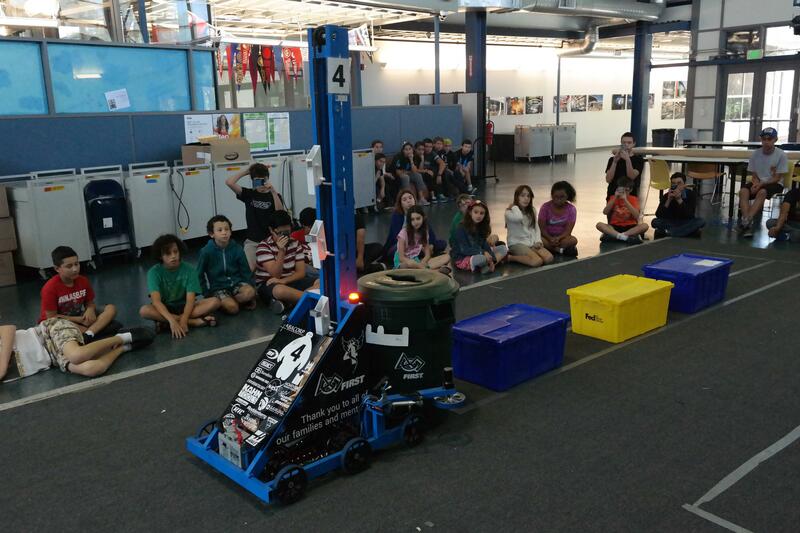 We’re especially proud of our brand new drivers, who quickly and maturely adapted to strategy changes during matches. Our pit crew also worked tirelessly for all three days of competition, resulting in a more efficient and polished robot by the end of Saturday, which we’re excited to bring to the Ventura Regional. 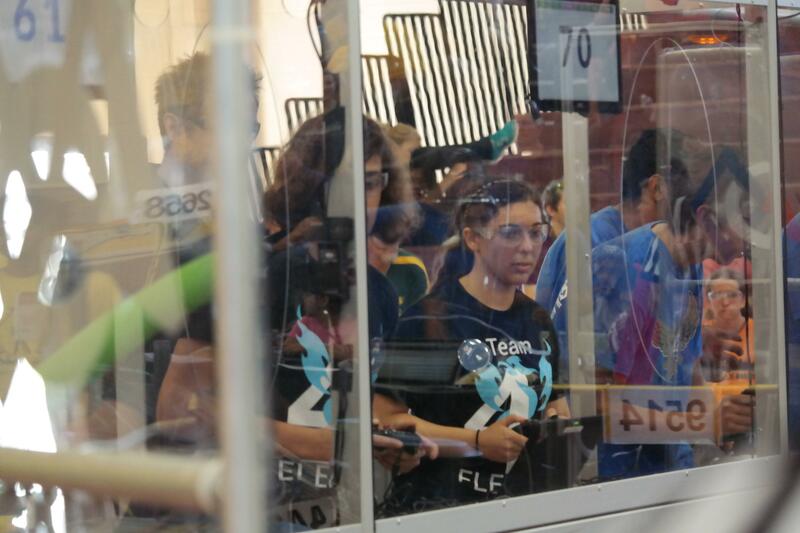 The excitement is far from over, and one freshman team member, Catherine, says, “I enjoyed being with my team and cheering on our drivers during the matches. I got to meet with other teams and see how everything worked at competition. Seeing the amount of progress we made during the course of build season really paid off while seeing our robot in the arena.” Overall, LA Regional was a great experience for the team, and we’re looking forward to an even better time in Ventura! Five weeks down, one week to go. 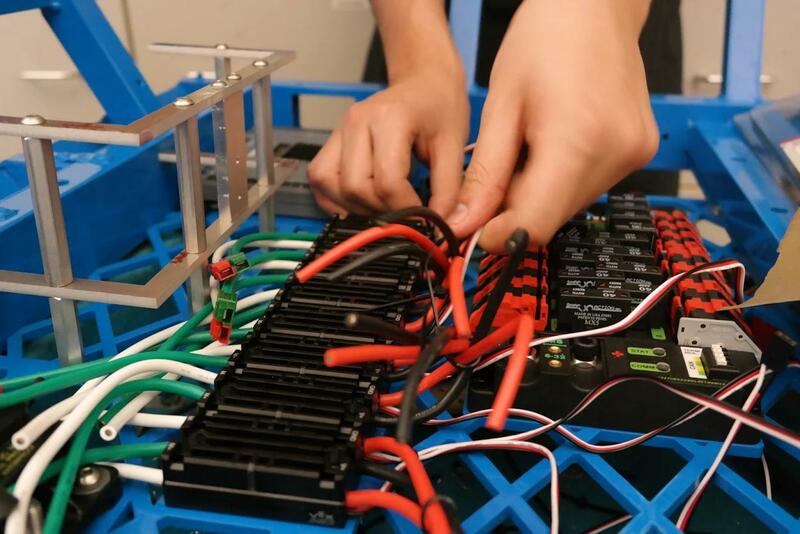 Our electronics department is working overtime to finish wiring our competition and practice bots. With a heightened level of organization this year, the process is taking a little longer, but the results are already immensely greater. The machining department knows all about great results. They’re wrapping up their work with spacers and gearboxes. While they’re finishing up, the programmers are starting work on intake code. Everything’s coming together, and to keep track of all this progress, the design department is organizing CAD documentation into one binder. This will serve as a reference point for next year and as an effective visual for judges at competition. The LA Regional is right around the corner, and we’re rounding that corner with confidence. We’re getting down to the wire. 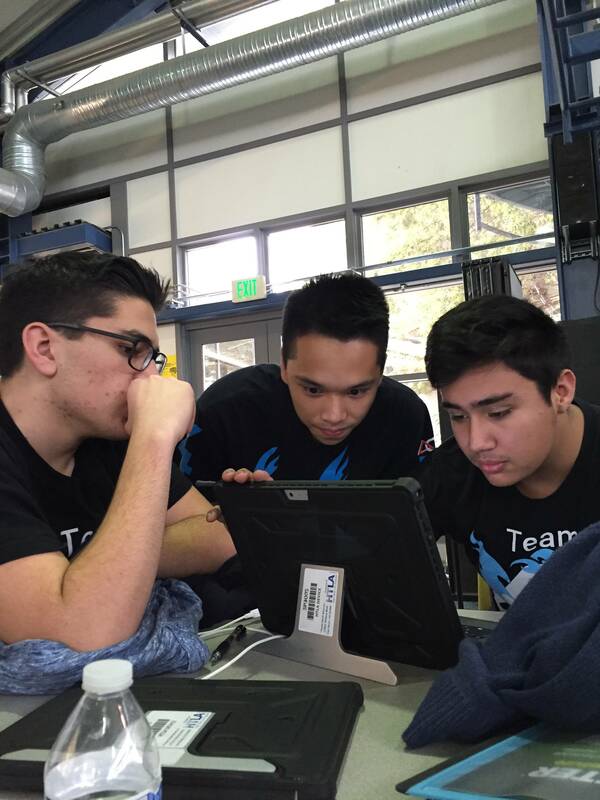 Programmers are perfecting their motion profiling and autonomous code, which will give us an edge at competition. They’ve taken programming to a whole new level this year, and right alongside them are Team 4 machinists. The four weeks of hard work have come to fruition thus far. A majority of parts are hot off the machines and ready to be assembled. With a newly welded and powdercoated drive base, we’re just days away from putting the parts together… in the limited space we have on our robot. Our electricians are committed to making the limited space manageable, which is coming down to the wire – quite literally. So many electronic components and wires yet so little space. Short on space and short on time, we’re working hard to bag and tag a winning robot in a mere two weeks. With only half of the build season left Team 4 is looking better and better. 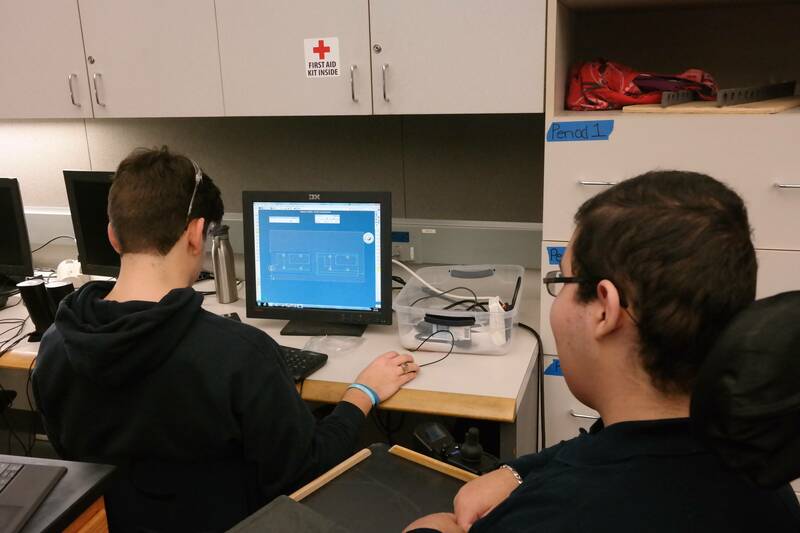 Our designers overcame miscommunication and are now back on track, designing parts of our robot. 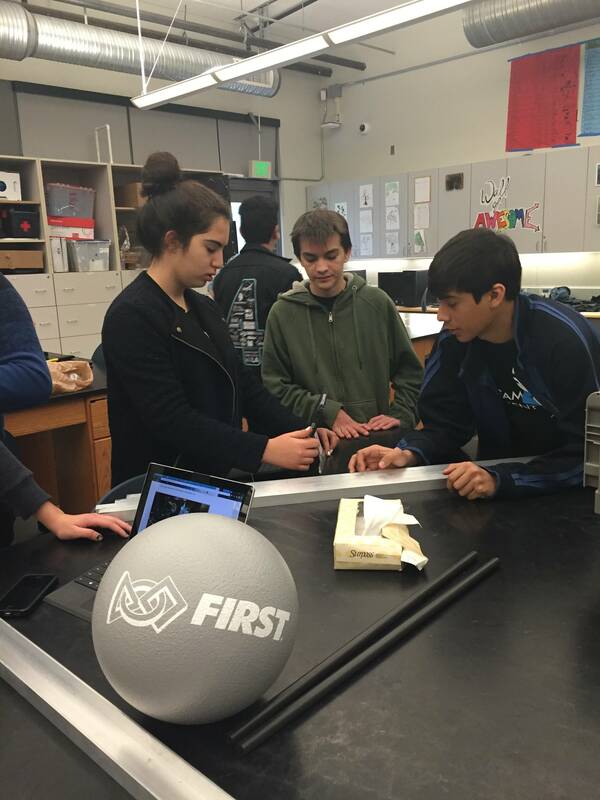 Over the past week, they have also been working on designing several hanging mechanisms which that could also be used to overcome barriers such as the drawbridge. This week has been very productive for our manufacturing department. They have already finished manufacturing both our competition and practice drive bases. 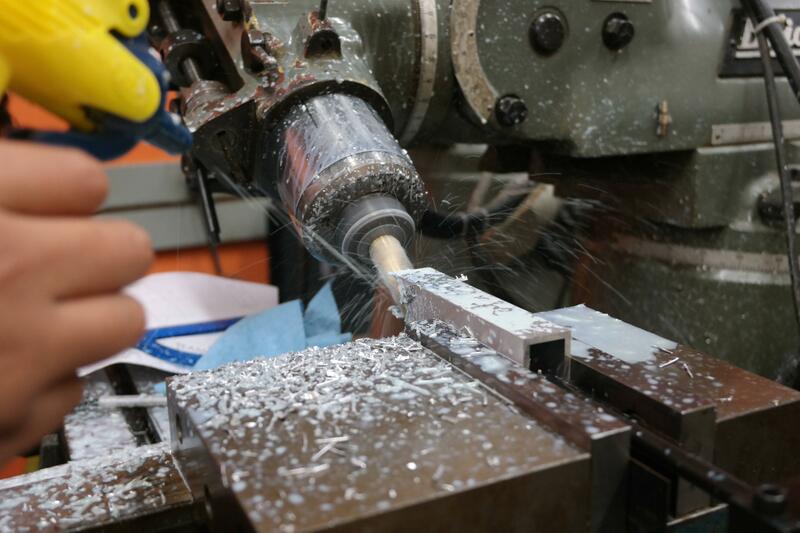 All the while, other members of manufacturing have been working on our intake and scaling mechanisms, both of which will play a crucial role in our strategy for this year’s competitions. Our programmers have been focusing on autonomous code, and have successfully added a camera to one of our older robots, to prepare it to be used on our new robot for vision tracking. Overall this past week has been very productive for Team 4, as we’ve made huge strides towards being ready for our regionals. With the second week of Build Season coming to an end, we have only 4 more weeks to prepare for the Los Angeles Regional. This week, our designers designed the majority of our drive base, and we’re hoping to completely finish the drive base within the next couple of days. Our programmers have worked with some of our robots from the last couple of years to test new code and update driving controls. Today, our machinists finished building all the field elements. Many of our veteran members have been referencing past games to help build an effective strategy for this game. The veteran members aren’t the only ones working hard. Our new members have surprised us all with the amount of work they put into their specific departments. 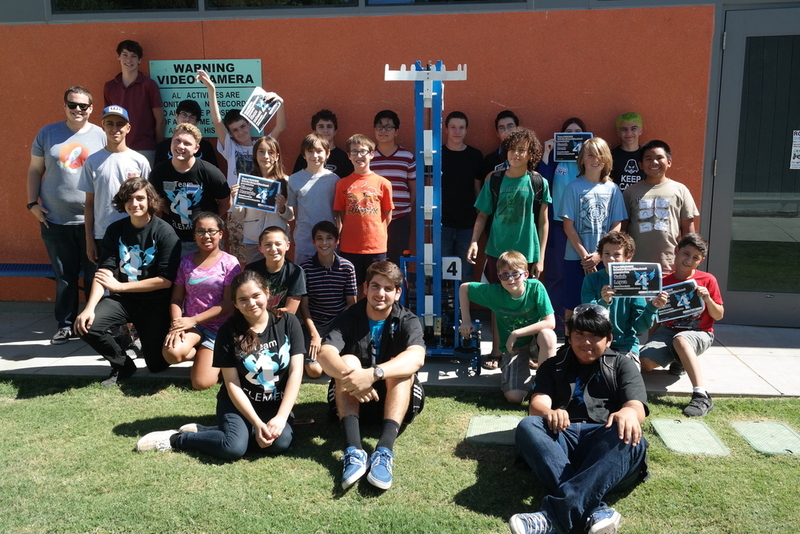 This year they really stepped up to the plate to learn CAD, spearhead sponsor relations, and optimize prototypes. With the completion of our new practice field, we are very excited to start driver practice soon. Team 4 started off this season with a bang! Over fifty team members showed up to watch the reveal of the 2016 game, FIRST Stronghold, and to kick-off the build season. Stronghold is a medieval themed tower capturing game. Two alliances of three teams each attempt to capture their opponent’s tower by crossing obstacles, known as defenses, and scoring balls, known as boulders, into the towers, all while defending their own side of the field. This year’s arena may be the most complex one so far, with interchangeable defenses that have over ten-thousand different configurations. The new season presented us with a lot of work to be done in only six weeks, but our new members were excited to step up to the challenge. Our veteran members, meanwhile, are excited to continue their FIRST careers with this complex game. 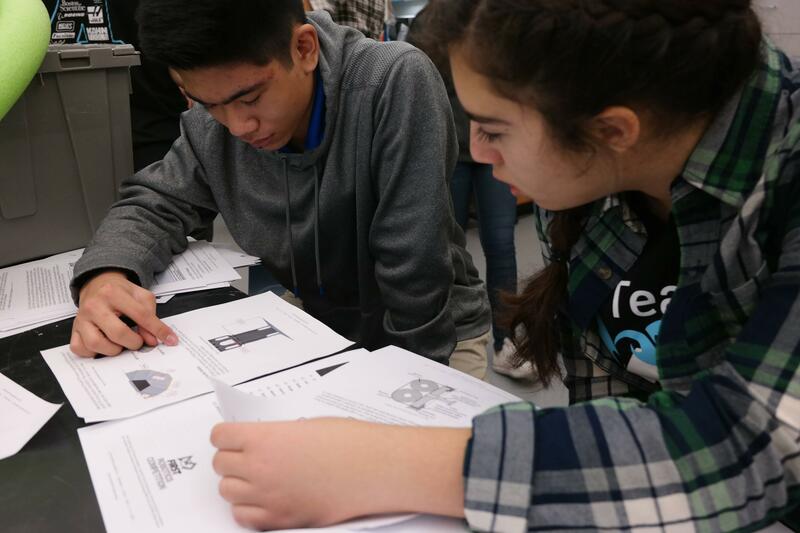 Our team analyzed the game for the first few days of build season to determine possible strategies and robot designs, while building the field elements. In these early stages of build season everyone is hard at work, especially our design department. Our designers have been using SolidWorks to quickly figure out the geometry needed for our robot, and they have started modelling our robot. 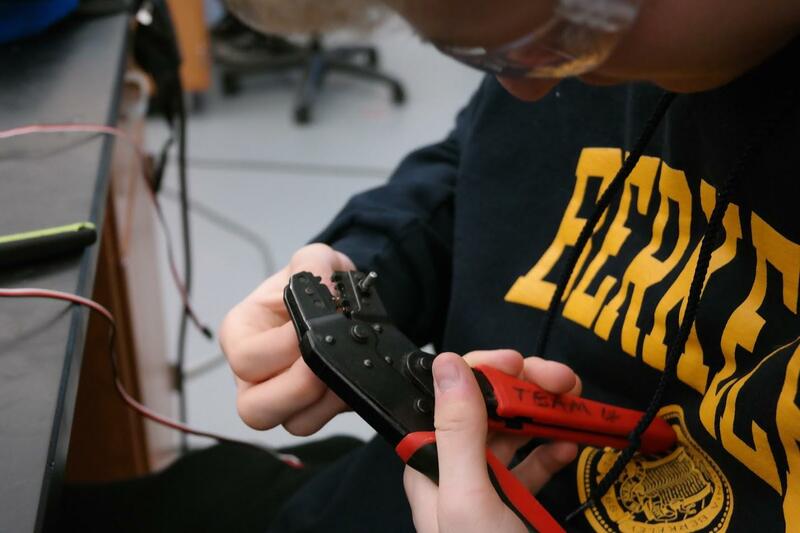 The team also began prototyping various mechanisms for our robot. The prototypes are used to determine which systems are best to achieve a successful season. Our programmers have been hard at work updating our code-base, mapping out new driver controls, and adding new features on top of their past work. Everyone on Team 4 is very excited for a fantastic season! On October 17th, we had the opportunity to participate in the annual “Battle at the Border” off-season competition in San Diego. The competition was hosted by Team 1538, The Holy Cows, and Team 2485, W.A.R. Lords, at Francis Parker High School. After a long but rewarding day, we finished in 3rd place as semifinalists. Throughout the day, we played in 6 qualifying matches. 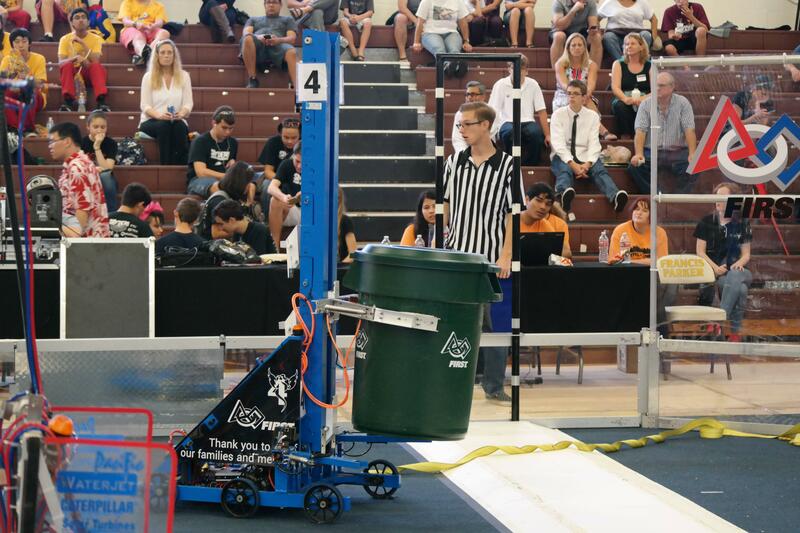 By our 3rd qualification match, we had changed our strategy to use all 6 recycling containers on the field, which dramatically increased our score. During alliance selections, we were captains of the 5th seed alliance. We selected our alliance members: Team 968, RAWC, and Team 4486, Blue Prints, both of whom proved to be valuable to the alliance. Our drive team once again proved their skill and expertise in the arena by earning 197 points, a record high score, in two matches. With such a robust design, our pit crew did not have to make any repairs throughout the entire competition. 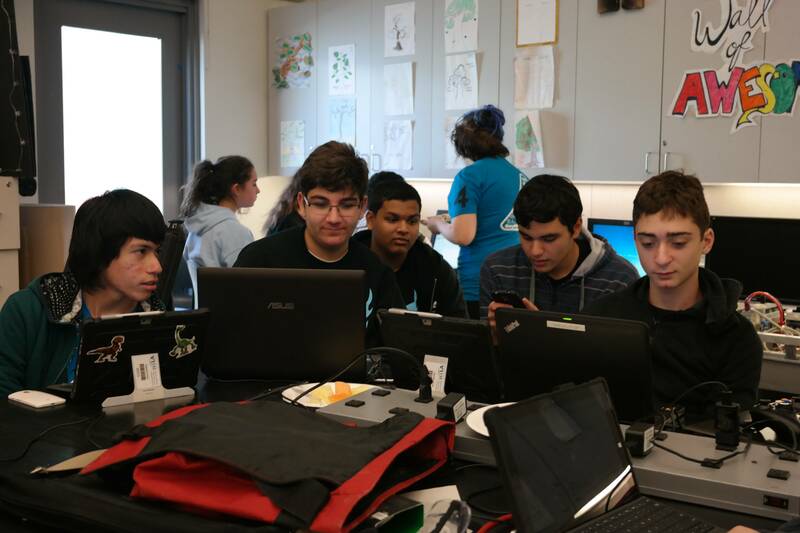 Our programmers diligently worked around the clock changing autonomous mode and adjusting code for our updated strategy, and this proved to be crucial as it put us on equal footing with the world champion team present. Our rookie members had a blast at this event. Freshman member Brandon Comins said, “I feel like I learned more here than I’d learn in a whole college class. It’s all so hands-on. I’ve never felt more welcome and also challenged at the same time.” Brandon is one of our programmers, and he took the initiative to redo the autonomous code and assist our robot operator after matches. Overall, Battle at the Border was an incredible experience, we’re grateful to have had the opportunity to attend. 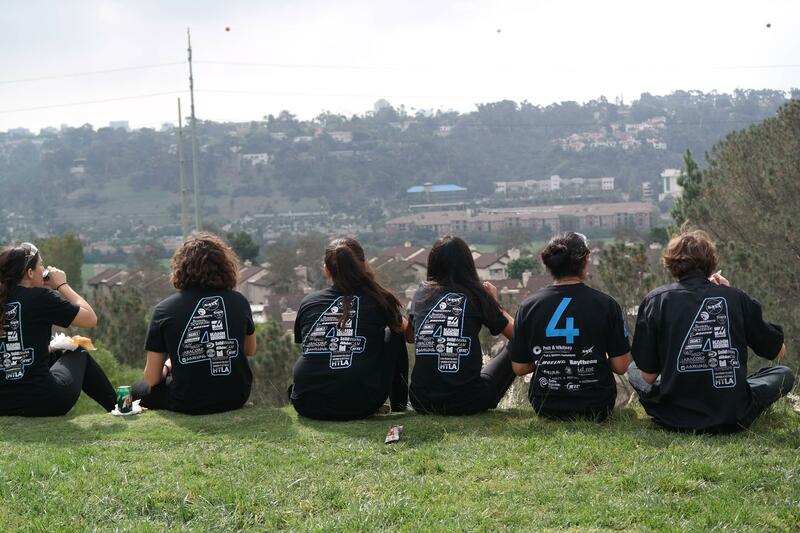 Over the summer, Team 4 held a summer camp for Elementary and Middle School students. The days were split up in 2 sessions. 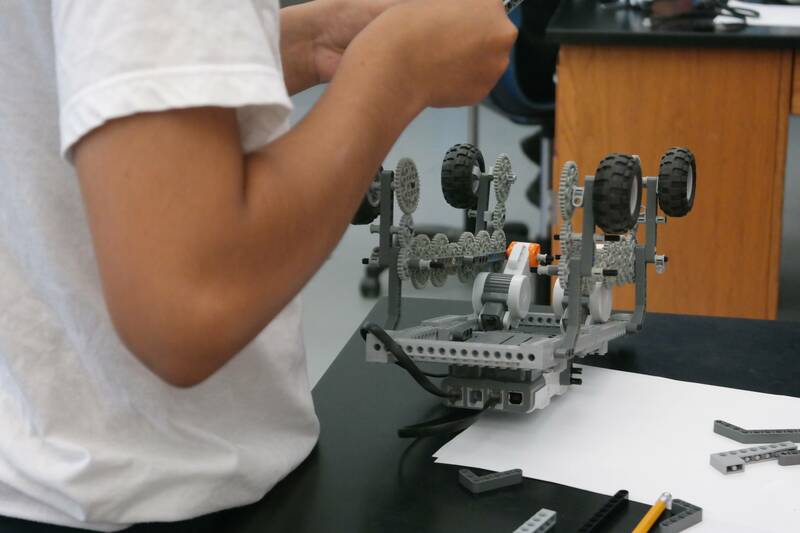 Students in the morning session designed, built, and programmed LEGO Mindstorm robots to play a number of games, including King of the Hill and an obstacle course. 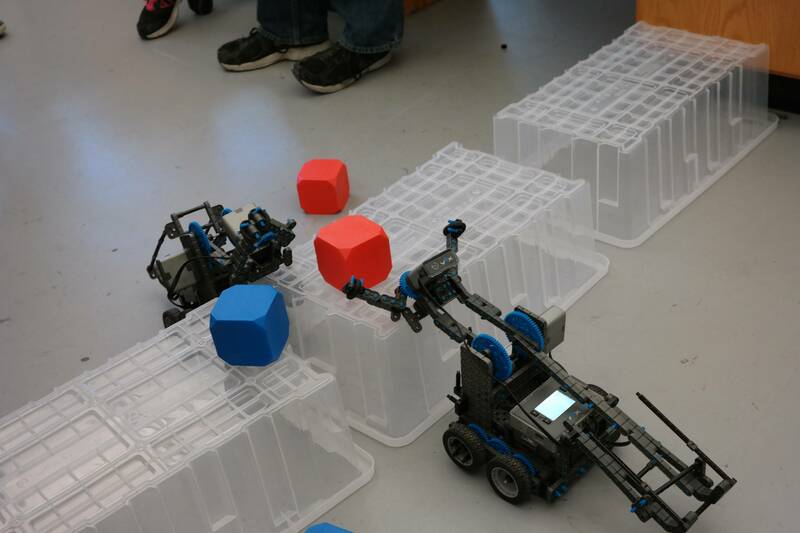 With the help of Team 4 alumnus, Mack, campers in the afternoon session designed and built VEX IQ robots to compete in various challenges like Sumo and “Cube Swap.” With one-on-one mentoring from Team 4 students and mentors, campers were introduced to robotics and STEM with hands-on challenges. Before summer break began, a Team 4 alumnus, Vince, visited our shop to teach machining to some of our members. He taught the students the fundamentals of various tool and machines, such as the mills and lathes, both manual and CNC. The training prepared our members for an internship at Finn Tool and Instruments. Yarden, a student on Team 4 who took part in the internship, said, “This internship not only helped me learn but it got me ready to share my knowledge with others.” With their newfound skills from the internship and training, Team 4 members are ready for the next FRC season! On Friday, the 7th of November, Disney’s Big Hero 6 opened in theaters. Our team was given the opportunity to help out the producers and writers as technical consultants. They were interested in the jargon that robot-building teenagers use. A team of writers and producers visited our shop and asked numerous questions about FIRST®, STEM, and robotics in general. 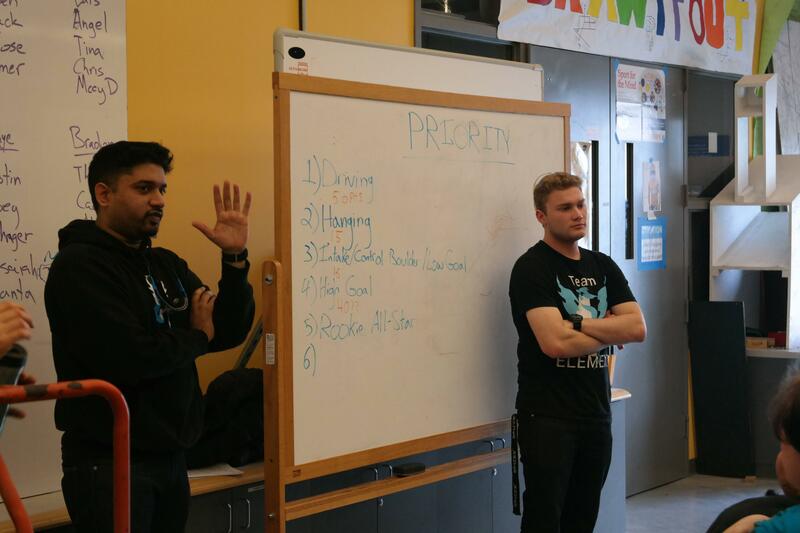 We had the chance to introduce ourselves and our team, give them a tour of our machine shop and give ideas for their movie. Team 4 was able to help inspire cool additions to the movie such as a McMaster-Carr catalog making a cameo in the film. 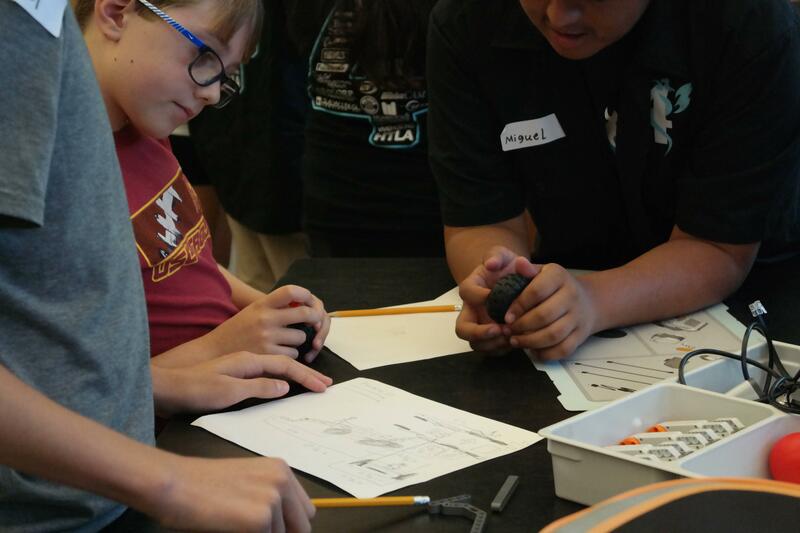 We were honored to lend a hand in the making of Big Hero 6 and spread awareness about FIRST and STEM. 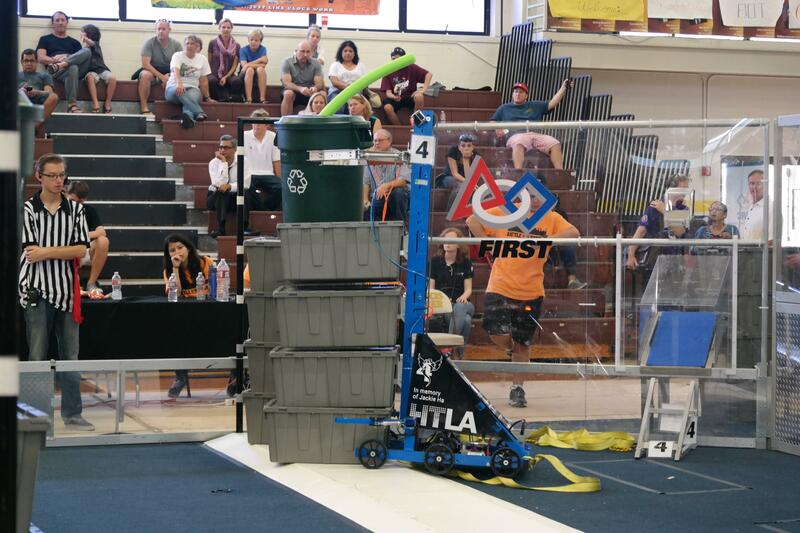 Yesterday, Team 4 attended the Fall Classic, an off-season competition hosted by Team 4470, the Tigears, in Valencia High School. We ended the day at rank 10. It was a great learning experience, and a ton of fun. The Fall Classic was also great practice for our drive team, which featured some excited rookie team members. We alternated members of our drive team to give more people the fun experience, and by the end of it, everyone was happy and trained. Our scouting team got some great practice and compiled a comprehensive data list; we’d like to utilize the same scouting system at regionals. The day was a great way to show our new members how competitions work and get them excited. We’re always happy to help out, so Team 4 members jumped at the chance to volunteer as scorekeepers for the matches, and one member even DJ’d the event. Team 4 also helped out other teams by lending tools and parts, and for one team, 3 of our members assisted with the manufacturing of their robot. We understand that things break at competition, so we were glad to help out another team in that situation. At the end of the day, awards were announced. Team 4 is honored to have won the Judge’s Award, usually given to a team that excels at having a great presence at competition and having excellent communication skills to articulate key aspects of our robot and team. We had a blast at Fall Classic and can’t wait to go back next year. Thank you to Team 4470 for hosting such a great offseason event!